Contents: Preface. 1. Introduction. 2. North Eastern Region Settings. 3. Educational Development. 4. Employment Structure and Change. 5. Economy of NER with Special Reference to ST Dominated States. 6. Education, Employment and Economy of Scheduled Tribes of Manipur. 7. Conclusions. References. 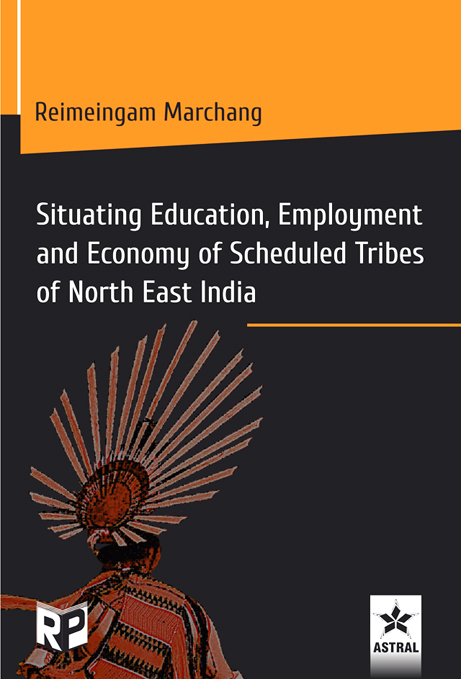 The book, Situating Education, Employment and Economy of Scheduled Tribes of North East India, explores an association of education, employment and economy emphasising on Scheduled Tribes (ST) population of North Eastern Region (NER) of India. The development of education has concurrently led to a change in employment and economic structure from farm to non-farm employment and income. This book deals with the education, employment and economy of Scheduled Tribes; the settings of the region such as geographical, administrative, household type, agriculture and industrial development; the region’s educational development such as literacy rates, school enrolment, dropout rate, educational expenditure and its infrastructure emphasising on STs; the aspects of employment such as labour force participation rates, workforce participation rate, and education and industry specific employment; the general patterns and trends of the economy and economic growth of NER with special reference to the ST dominated states; and the situation of education, employment and the economic condition of Manipur’s ST that can be inferred to some extent for the region’s ST.